You should consider camping when you want to get away from busy city life. It is a fun way of relaxing and connecting with your family. It also gives you a chance to appreciate nature and learn more about your surroundings. Most of the top places for families to camp in Houston Texas area have shores where families can relax, swim and even watch sunsets. Texas has many beaches and forests that offer some of the best camping sites in the country. Most people shy away from camping because they think it is expensive. However, it can be surprisingly cheap if you make plans early. 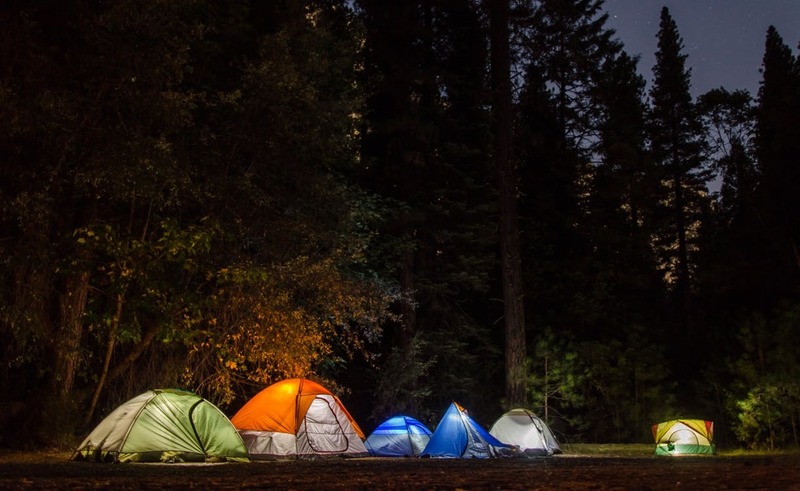 Below is a list of some of the best camping sites in Houston where you can visit with your entire family. In addition to the many centers of attraction in Galveston, the island is also home to the Galveston Island State Park. The park has campsites along the beach where families can unwind and connect with nature. Enjoying the bay, the gulf, and the beach. Other than camping, the park is an excellent spot for fishing, picnic, hiking, swimming, and birdwatching. Located somewhere in the Sam Houston forest, the park has impressive spots where one can camp and also engage in activities like biking, hiking, horseback riding, and fishing. It has 160 campsites that carters for people with different camping preferences like RV trailers, screened shelters and tents. Depending on the extra services and amenities that your family may require, booking the site for a night could cost you up to $60. It has 23 acres of camping ground where you and your entire family can enjoy hiking and exploring. Depending on what your family prefers, you can choose to stay in a camp with water only, or you can get in one that has both electricity and water. Apart from cabins and tents, the ground has sites that can be occupied by trailers and RVs. It has excellent spots right by the lake where families can enjoy fishing. For tent campers and those who prefer RVs, you can choose to stay in a site supplied with electricity and water, or you can stay in a primitive section if you enjoy roughing it when you camp. The camp also includes wifi and cable to those who need it. Pet owners are welcome to stay in our one and two bedroom cabins. Apart from fishing in the lake, you can also play basketball within the camp and even go for movie nights. Placed along the Brazos River this amazing park offers beautiful campsites with the opportunity to be one with nature and the wildlife. Families that enjoy outdoor activities will love this place as it offers horseback riding, fishing, birdwatching, biking, and hiking among others. It also provides sites where youth groups can camp. Apart from a fantastic camping experience, the park also offers a dose of Texas’ history as it houses the San Felipe de Austin State Historic Site. The campground has room for tent camping, RVs, group camping and also has screened shelters. Explore the trails and go geocaching. The campground has close to 4800 miles of wilderness and wood, and it’s a great escape as its well-hidden in the city. It offers sites for group campers, no matter how large the number may be. It also has screened shelters and space for RVs and tent campers. Hiking, kayaking on tree-lined creeks and bike trials are all something this park offers. You can take your family to Cedar Hill State Park for a hike, bike riding, a picnic or a camp. It is right next to Joe Pool Lake where you can fish or swim. It has 350 sites that are well designed and have hot showers. It has a 72-acre lake where your family can enjoy fishing and swimming. It has sites camping, biking, picnics, and even birdwatching. The park also has room for all types of campers and has a hiking trail that has a spectacular view of Lake Meriden. Kids will love this place as it has a splash pad, a lazy river and a game room among others. It has many options for all types of campers and prices may change during holidays and weekends. There are many other places around Texas that you can visit during the weekend where you can clear your mind and spend time with your family. Furthermore, the temperature around Texas makes it an excellent place for the many outdoor activities that are available there.